In the beginning there was a vision to develop a product that would provide a solution for the prevention and management of pressure ulcers. 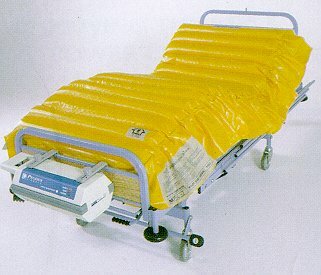 This vision in the 1980’s resulted in the development of the very first alternating pressure mattress replacement which would go on to revolutionise pressure area care worldwide and establish Pegasus as one of the forerunners of pressure area care excellence. 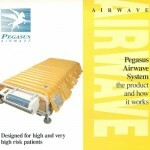 This product was called the Airwave Therapy System, which was developed in 1985 by Pegasus working with the highly respected Professor Exton-Smith in the United Kingdom. Professor Exton-Smith surmised that by replicating the body’s natural response to pressure, the patient will be more comfortable and free from pressure ulcers. His aim was to completely relieve interface pressure every 7.5 minutes because an observational study of sleeping geriatric patients showed that those who moved over 8 times per hour did not develop any pressure injury. To achieve this, a double layer of synchronously inflating and deflating air-cells changing in a 3-cell cycle pattern was required. The Airwave Therapy System was based on a 3-cell cycle which allows more of the body to be supported at any given moment while the fully inflated cells around a deflated cell allows total pressure elimination at frequent intervals at all body sites. This total pressure elimination is also known as ‘zero pressure’. 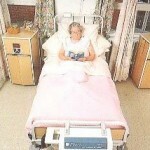 Following a successful Randomised Control Trial, which was published in “The Lancet” in 1991, the Airwave Therapy System became the support surface of choice for the prevention of pressure sores in Very High Risk patients and was accepted by The Royal College of Nursing (UK) as a safe support surface for nursing patients at High and Very Risk of developing pressure sores and that these patients did not require manual repositioning for pressure area care. 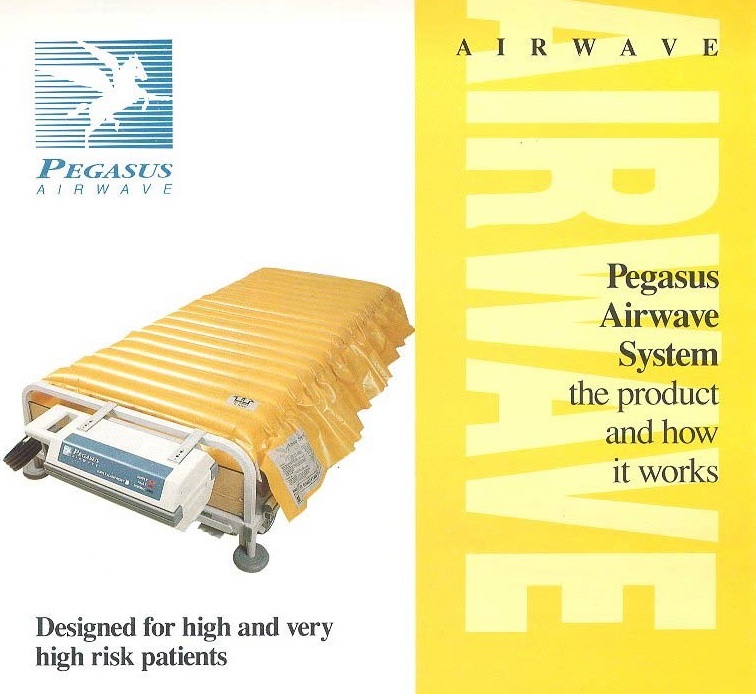 Following continual research and product improvements Pegasus launched the Cairwave Therapy System in 1995 which added vacuum assisted deflation to the already proven benefits of Airwave Therapy. Over the next 20 years, the Cairwave became the most studied of all support surfaces and is still considered the gold standard against which all other mattress systems are compared. In 2003, further development prompted the use of solenoid technology and the launch of the NoDec 3 Airstream which implemented rapid cell deflation and longer dwell times to enhance reactive hyperaemia in the deep tissues. Since the original development of Airwave Therapy, the mattress design concept has not altered other than in the materials from which it is made. The mattress consists of a two layers of transversely running air cells; each layer comprising 18 large diameter air cells that have been ultrasonically welded together. 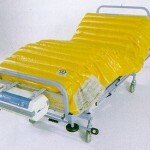 Each layer is separated by 2 permanently inflated air cells that run lengthwise at the sides of the mattress to provide a firm edge for patient transfers. With a pump unit containing powerful piston compressors, the air cells are inflated and deflated in a 1-in-3 cell alternating 7.5 minute cycle. The cells of both layers are synchronously inflated and deflated allowing for the complete elimination of tissue interface pressure for about 30% of the time. 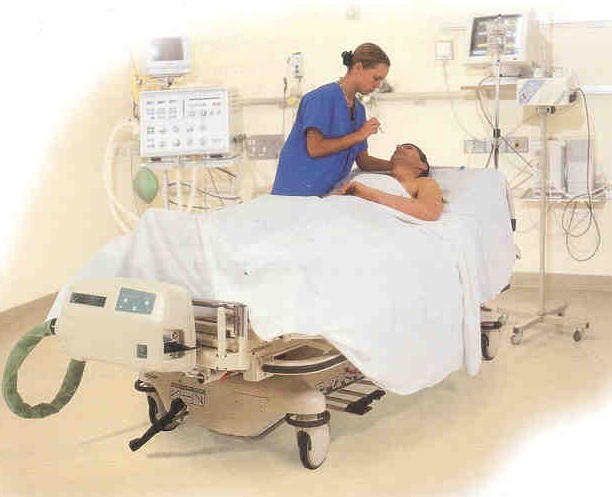 The clinical efficacy of the Airwave Therapy range of mattresses has been proven worldwide using documented evidence, research and studies from leading clinicians in a variety of challenging care environments such as critical care, burns and bariatric units. The clinical legacy which was created by the Airwave and Cairwave products has remained at the heart of each of the products within our portfolio. 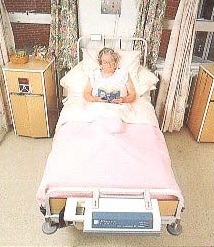 Unique features that revolutionised pressure care and management such as ultrasonically welded air cells, double layer of alternating air cells, permanently inflated side formers, high output compressors and automatic adjustment to patient weight and body shape are those that set Pegasus Healthcare products aside from others within the market.